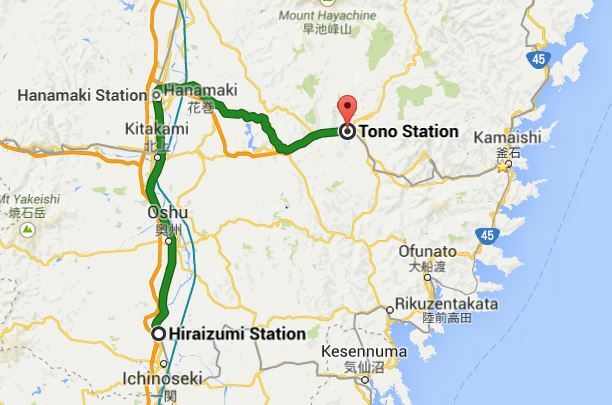 Today I travelled by train from Hiraizumi to Hanamaki, and then to Tono, first taking the JR Tohoku Line, and then the JR Kamaishi Line. I had rather a long time to wait either at Hiraizumi or Hanamaki and, having already spent enough time in Hiraizumi I opted for Hanamaki. It was a pretty small station, but had a sort of cafe/shop, so not as small as some of the stations I passed on the way, which were completely unmanned. 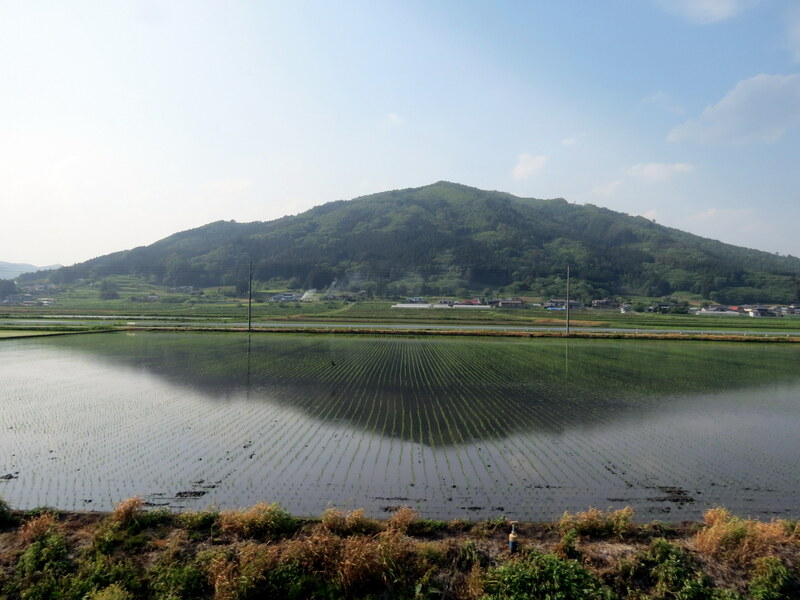 Today’s journey was long, but I couldn’t take my eyes off the scenery between Hanamaki and Tono. 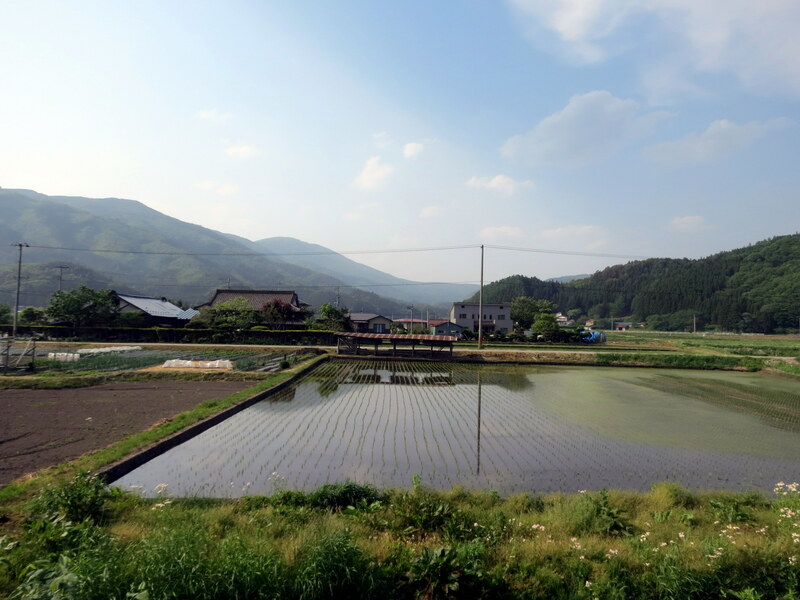 It was an hour of rolling hills reflecting in rice paddies, clear streams, and blue skies. Just beautiful. Pure, untouched Tohoku.